So today I caught up with Sayaka, who I hadn’t seen for a while! Actually, I think the last time I saw her was before Christmas/New Years break! 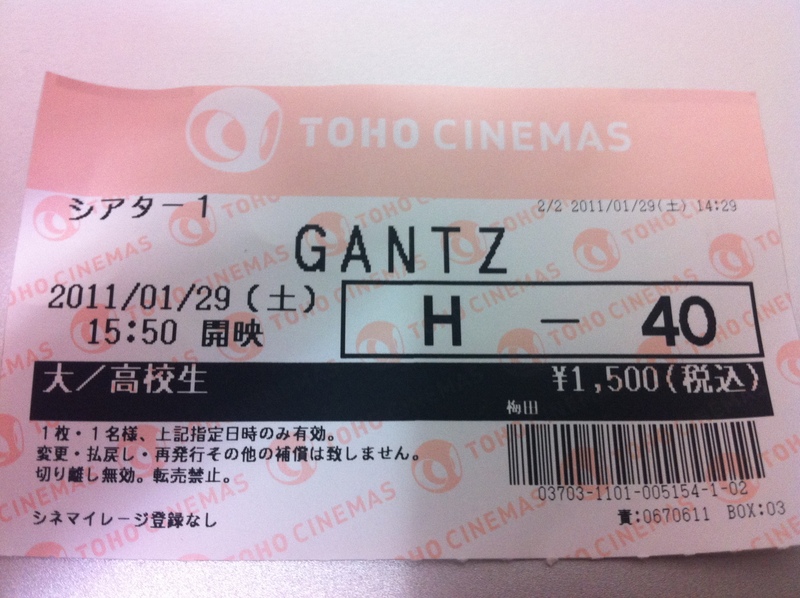 Anyway, we went and watched Gantz at the Toho Cinema in Umeda. 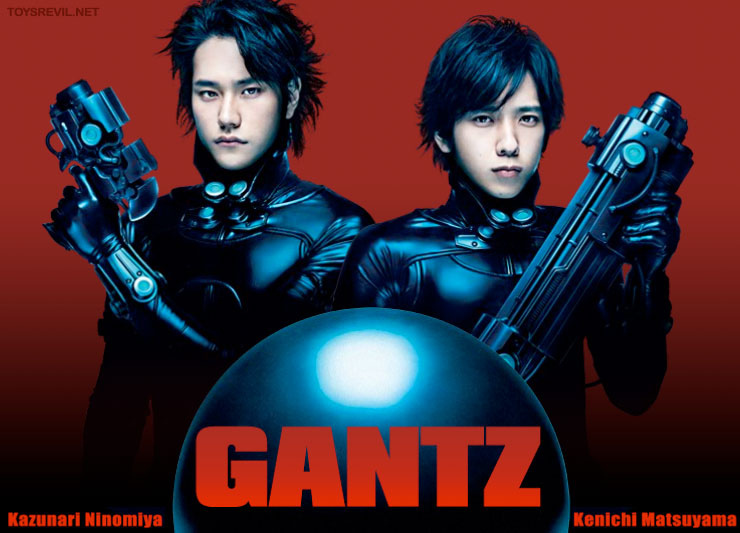 I didn’t realise that it was released today, but I just decided I wanted to see a movie, checked what was on, saw Gantz was on, wanted to see it since it came out, and so that’s how I decided on it. And the verdict? AWESOME!! I’ve only seen the first 3 or so episodes of the anime and I’ve only read the first few books of the manga, so I have an idea of the story line, but seeing the movie blew my mind! It was really good, and I want to see it again! I already love 松山ケンイチ but was also happily surprised with ニノ‘s acting! Man, I want to see it again. Also, I was happy, because I paid for a students ticket price. 1,500円! 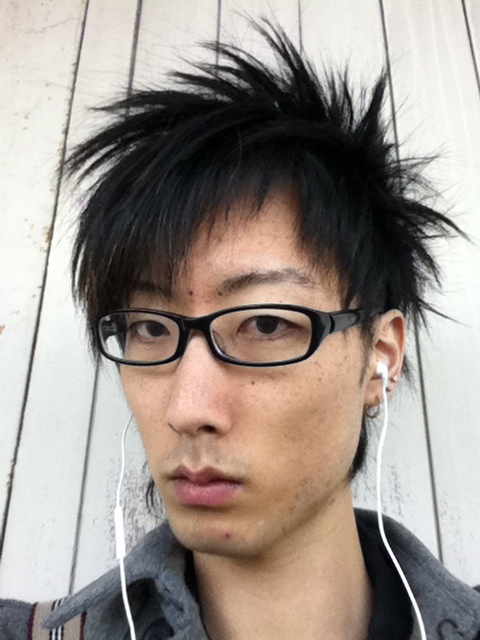 I would like to take credit for thinking about this haircut all for myself, but everyday I’m influenced by the different trends in hair and fashion here in Japan. I don’t really like facial hair, but seeing so many Japanese guys sporting it around as the new fashion, I sub-consciously grew it too. So my new style is short on one side, and longer on the other. AND it’s also got a small undercut on either side until just behind the ear area. I’m not sure what my school will say, if they say anything, but I’ve liked fashion and hair since I went to university. Even at the hospital when I was working as a nurse, the other staff members (including my bosses) liked it when I styled my hair “differently” to the others nurses. And also, it gave the patients something to talk about! So I don’t see why I have to stop being who I am here in Japan, when I think that the fashion and hair styles are so much more popular here than back home! Anyway, I also watched another movie after coming home that was Sayaka’s recommendation. 腐女子彼女 (funjoshi kanojo). Funjoshi apparently refers to girls who like BL (Boys Love). It was quite interesting and another insight into a popular trend for girls in Japan!! !